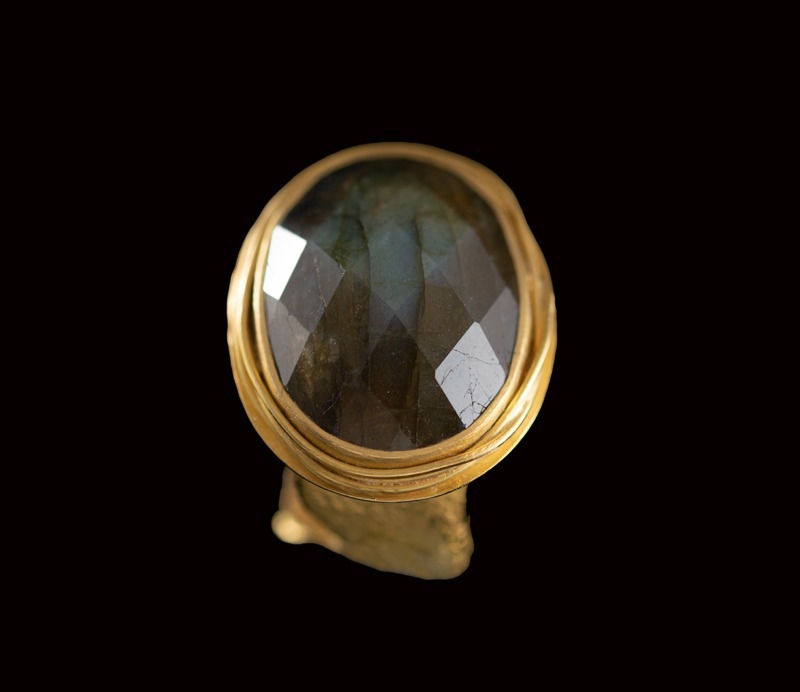 This large and very beautiful labradorite has been facet cut and set in 22ct gold. It’s a large stone, and balances perfectly with the substantial melted shank on which it has been set. 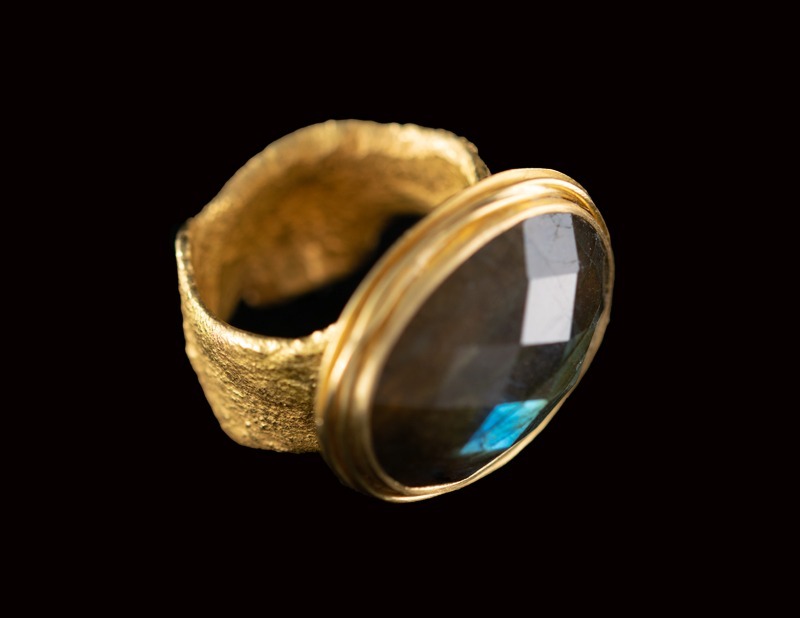 The setting has fine wire wrapped round it as embellishment. The lights in the stone vary from dark blue to grey with green and turquoise in between. 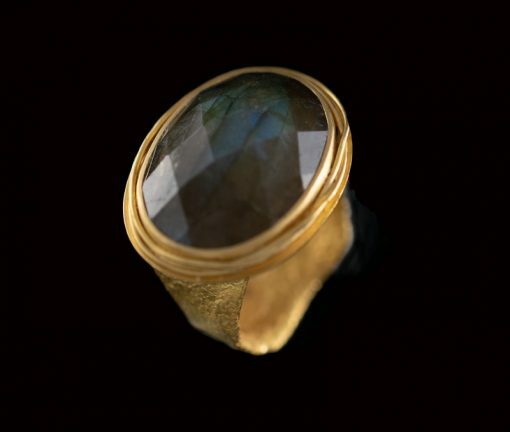 Quite stunning, and this cut is perfectly suited to the complex character of a labradorite stone. The ring is size N.